and we are now proud owners of a working furnace!!!! the plan is to stitch and knit and then make a bowl of shrimp and roasted vegetables in a balsamic butter sauce to serve over a bowl of pasta. That's the one that brought us our friendship! I remember writing to you when I saw it first time. Good to see it again. thanks Jaihn. was it this one really? i've been trying to recover all the lost photos on my old livejournal and typepad account. sadly they've all been deleted! so this little thing was a charm wasn't it? thank you Melissa. the heat is yummy! I like this! the burlap makes a nice contrast to some of the delicate charms. You inspire me. I don't know when it was that I stopped doing things like this, but somewhere along the way everything else in life got in the way. 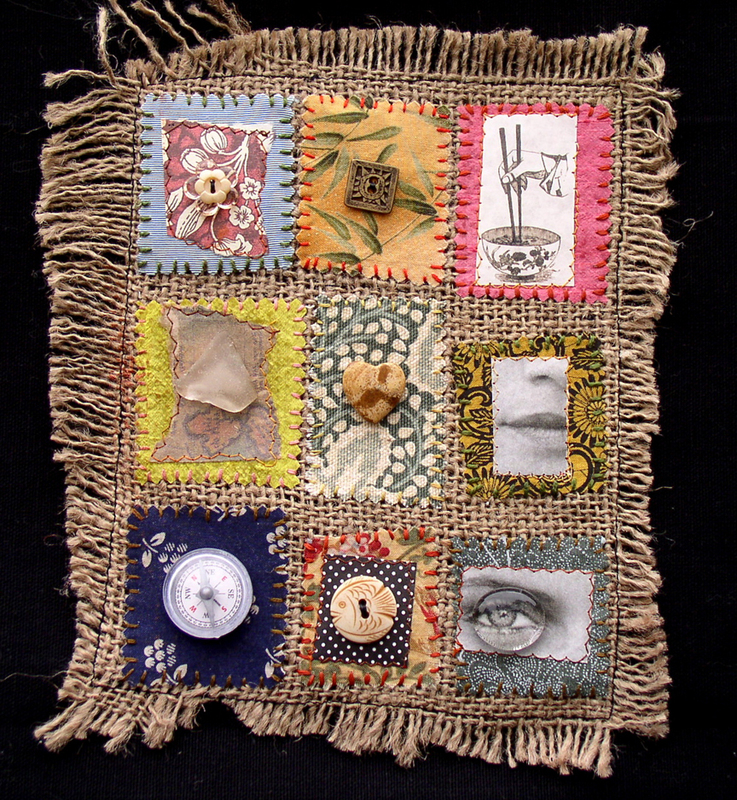 Charming little nine patch…so fun with all the goodies, fabric and stitches….